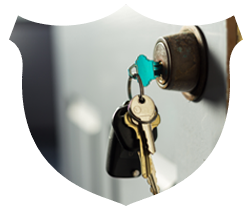 For over a decade All Day Locksmith Service has been an excellent key and locks’ service provider in the Minneapolis, MN area. Our specialization in cutting and programming transponder keys has placed us in the topmost position. A few decades ago, it wasn’t as surprising as it is today for the vehicles to have been stolen by ruthless burglars. They were able to do it easily through hot wiring and other such petty tricks. However, with the development of transponder keys and its adoption, things have changed drastically. Hot wiring cannot be done anymore due to the technical mastery of transponder keys. A simple key has saved thousands of cars from being stolen! A transponder key isn’t anything like a remote controlled key, rather a simplistic piece that carries a microchip that is embedded inside. This microchip carries a unique number, and as the key is inserted into the switch, a low-level signal is transmitted to deactivate the immobilizer. Only if the signal is recognized by the car, it would begin its operation, otherwise it’d remain inoperable. In complex systems, rolling codes are encrypted, and that enables the codes to change after every use. In that manner, transponder key cloning becomes a difficult task. Why do you need an auto expert? Have you lost your vehicle’s transponder keys? Are you looking forward to replace your transponder keys? Then all you need to do is to go to an expert to avail your services. But why you ask? Transponder keys seem to be extremely simple externally, but once you know its mechanism, things get quite hard. Firstly, the key blade needs to be cut with precision to turn the locks, secondly, the chip has to be programmed to deactivate the immobilizer of the vehicle. So, such intricate service can only to be done by an auto expert. Why worry when All Day Locksmith Service is here equipped with cutting-edge machinery and a team of auto experts who are ready to serve you? Call us now! Transponder key in 30 minutes? If you have lost your transponder keys and fear the keys falling into the wrong hands, then worry not anymore! Call All Day Locksmith Service now to get your transponder keys duplicated or reprogram the chip within. We have a team of experts and state-of-the-art equipment to deal with the transponder keys in the finest manner, and that too just within 30 minutes! What are you waiting for? Call All Day Locksmith Service now at 612-568-1072 to get your transponder keys crafted/duplicated or the chip reprogrammed in Minneapolis, MN area.